During recent conversations on a specific cammodel forum, several models both cis and transgender wondered why some camsites excluded trans-models from their platform? After reading through many of the responses I found myself weighing out the many different reasons why they may uphold this decision. I listened to what some had to say about it being a company decision based on demand and possibly aesthetics, but for me it felt a bit strange? I try to understand and apply some sort of logic that would make the current situation okay, but in the end I know that in the corner of my mind no matter how it’s packaged, shipped and marketed to the world it’s still discriminatory. And not only that but I believe the assumption that men wouldn’t enjoy having cammodels of all genders featured all together on one camsite to be false. It’s time to mix it up and throw away these old ideas about sexuality and gratefully, Manyvids is just the site to get it done. No Manyvids isn’t the first site to include trans models on their platform, but along with all of their other marketing efforts they are definitely a standout in that realm. For those who don’t know what the Tea Show is it’s a three-day event held in Hollywood, CA, kicking off with an official pre-party at the Bardot on March 9, a daytime fan convention at the Avalon on March 10, and ramping up to the awards ceremony on March 11 at the Avalon. The awards will be hosted by viral sensation TEA Lifetime Achievement recipient TS Madison who is one half of #TheQueensCourt. That’s it! The contest will run from right NOW until Sunday, February 11, 2018 and we’ll announce the winners the following Monday. 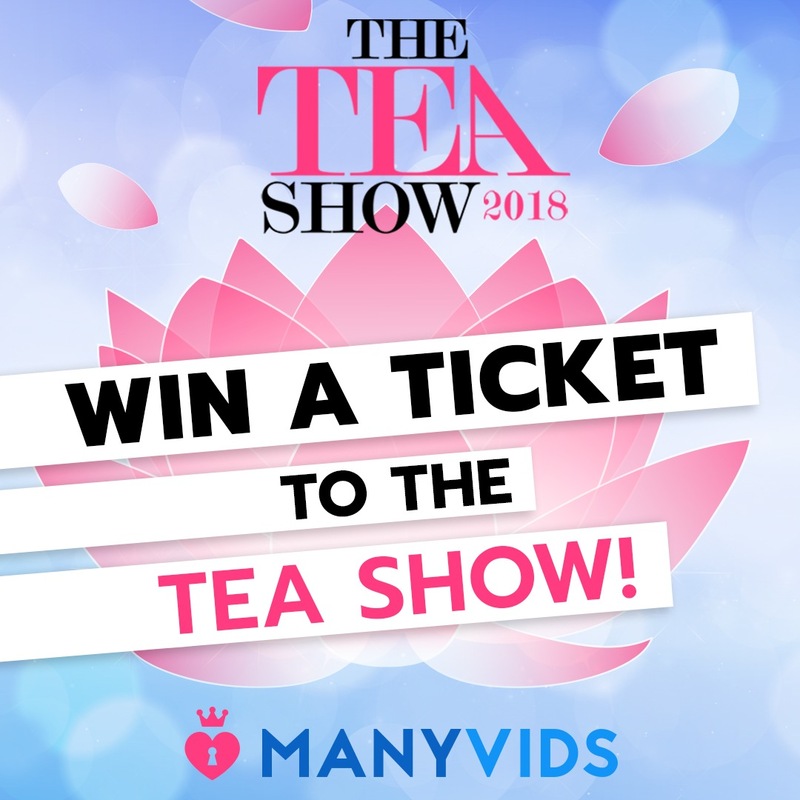 Continue to watch this space where we will report back with the winners who get to attend the 2018 Tea Show.